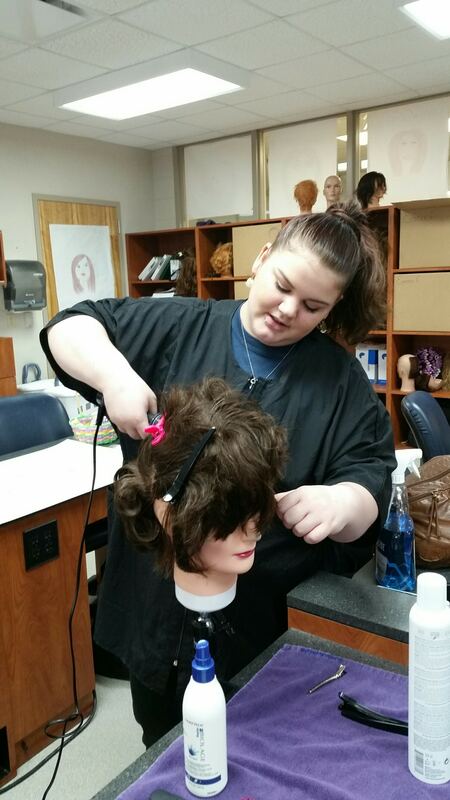 “Junior” class working on thermal curling! 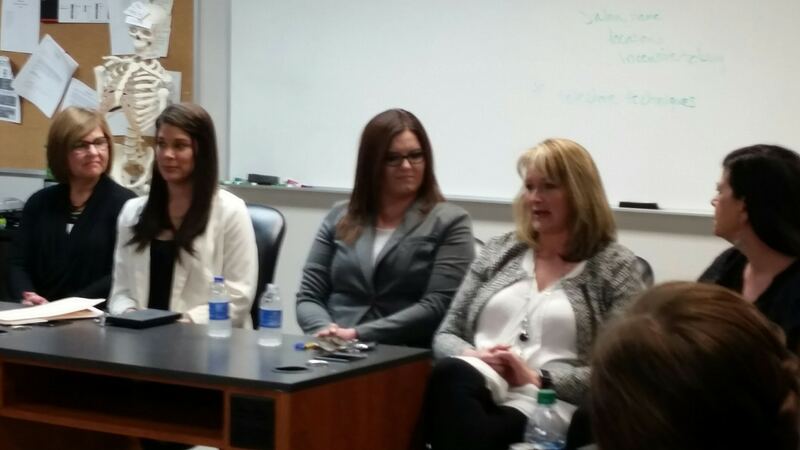 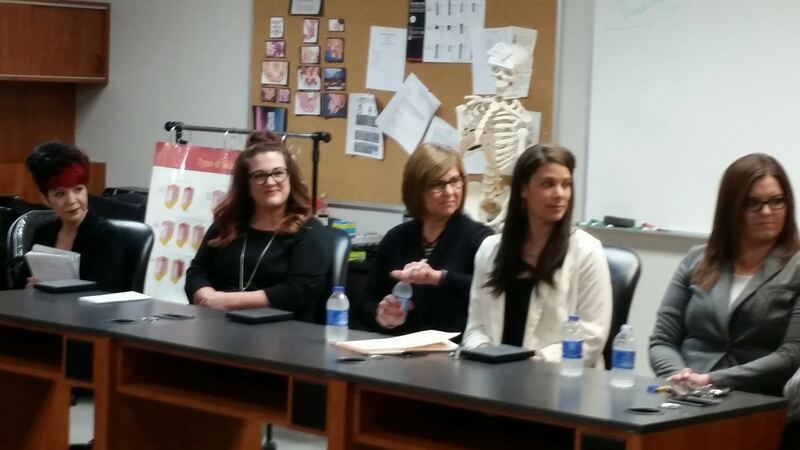 The “Senior” class was fortunate to have area stylists/owners/managers come and speak to them about the field of Cosmetology and how rewarding of a career it can be! 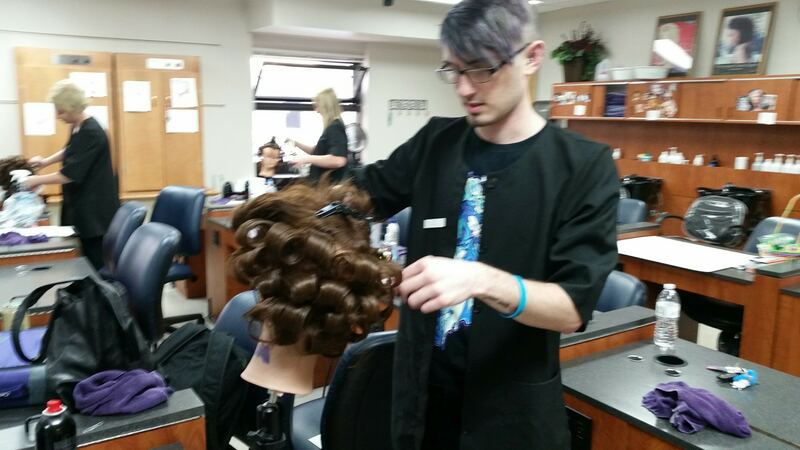 Even the instructors get to have a little fun! 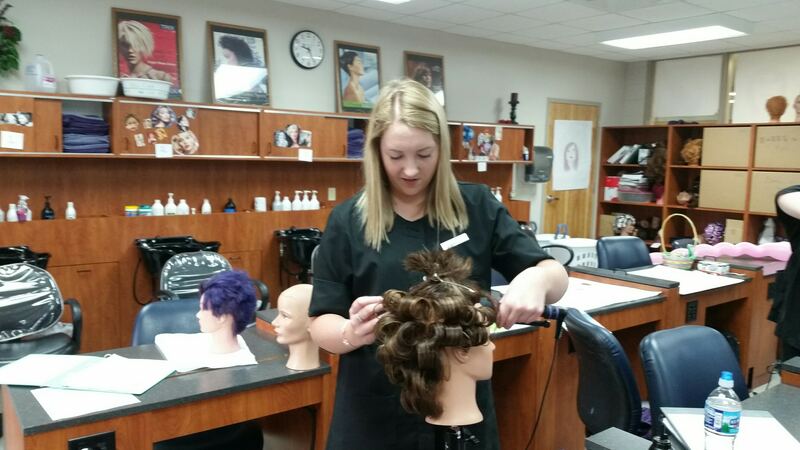 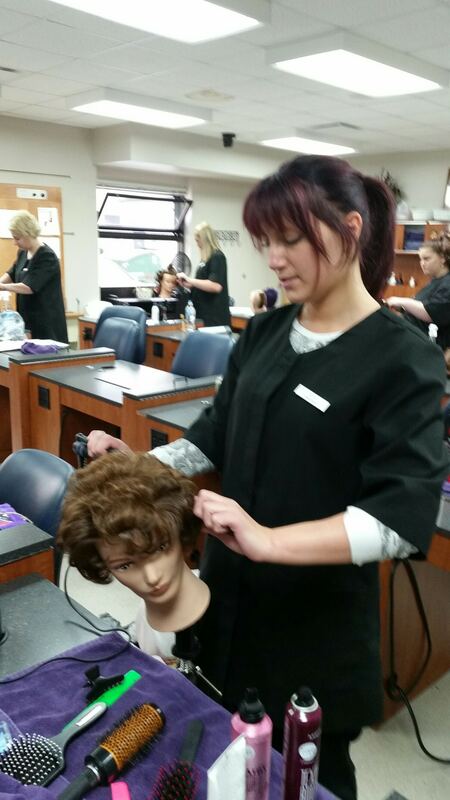 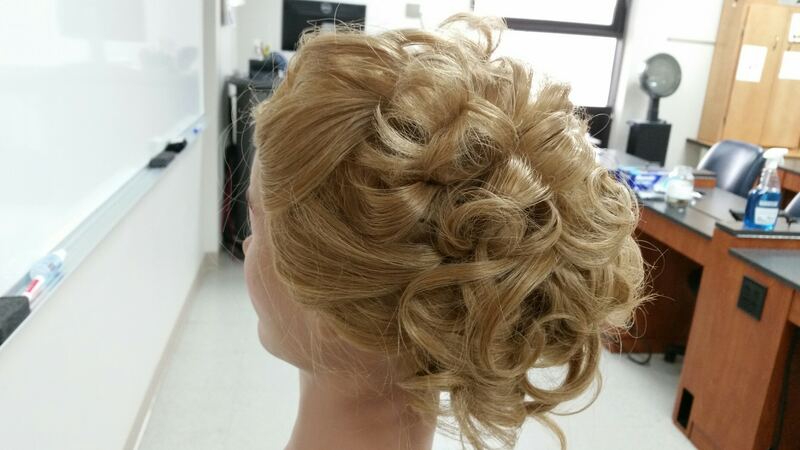 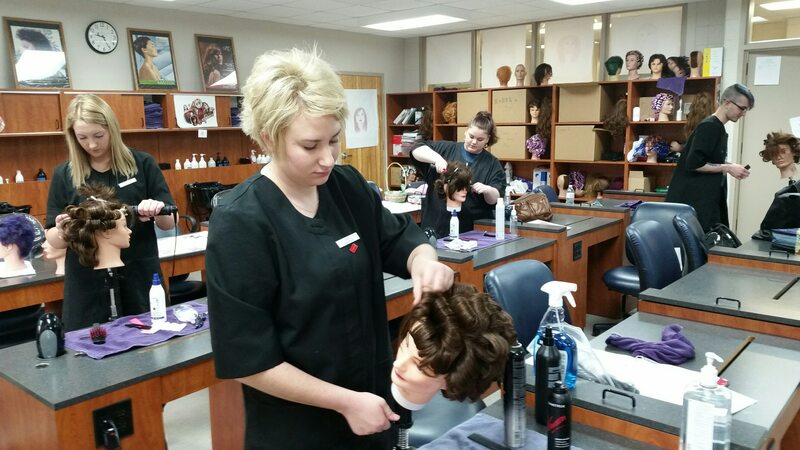 Ms. Sherri did an up-do as students also practiced their up-do skills. 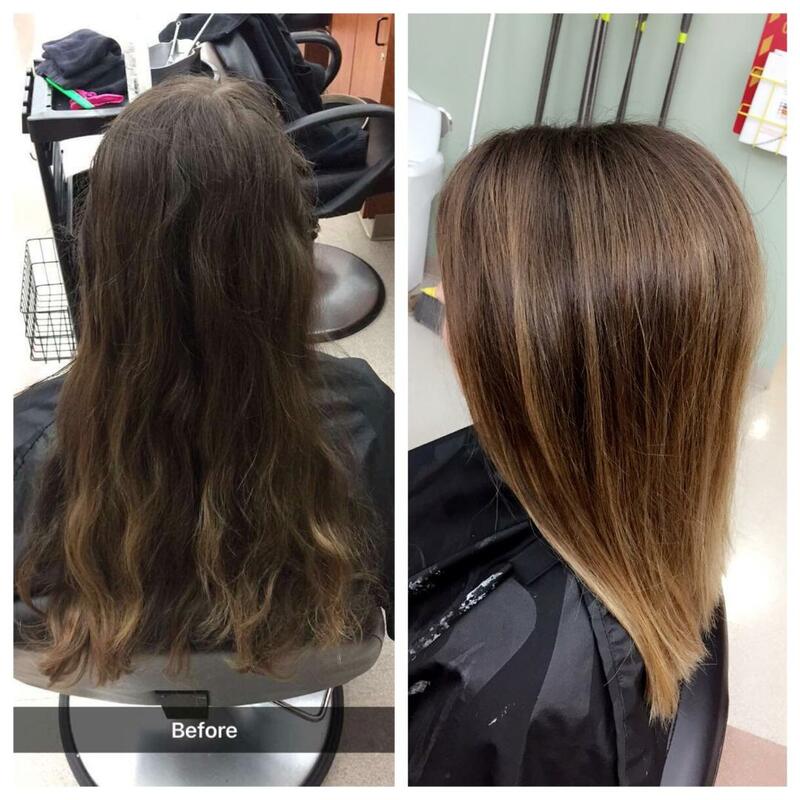 Another great color from student Ashley H!